The corporate love affair between Stone Creek Club & Spa and the city of Covington, LA, benefits both the bottom line and the community. 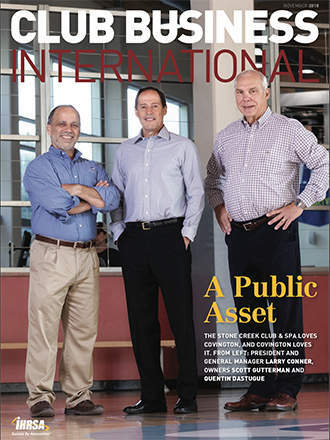 A Public Asset: Stone Creek Club & Spa's remarkable success can be attributed to community service—it made itself matter to Covington, LA, when it opened in 2009, amid the Great Recession. 'Lead With Purpose': Henna Inam will present at the IHRSA Women's Leadership Summit, hosted by Athletic Business. 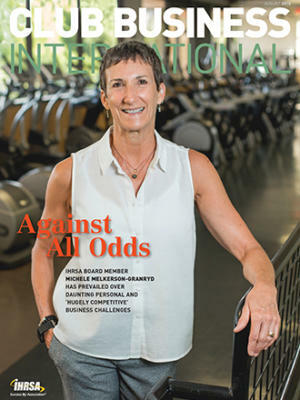 The Mind of Members: The IHRSA Health Club Consumer Report provides insights. Back in Shape: Some 31 million Americans suffer with back pain. Clubs can help. The Recovery Zone: New programs are helping club members to rest, repair, and recover. The AB Show & Expo: Athletic Business Challenges attendees to "Discover What's Possible." News: KKR acquires Bay Club Company; Leejam Sports conducts IPO; ClassPass and Peloton lure investors; GoodLife equips the MV Astrix; Orangetheory is in bike-building business; a club for cat naps; and more. First Person: IHRSA board member Monica Marques on the Brazilian market and its impact on Companhia Athletica. On the Move: Xponential Fitness hits six; Wexer goes virtual with Club W; a new CEO for Xercise4Less; Blink does multistate deal; and more club news. 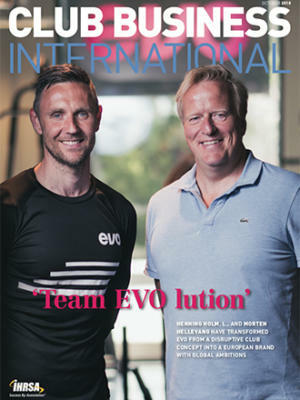 Mentors and Rising Stars: Mentors play an important role in the success of the fitness industry, notes IHRSA Chairperson Jim Worthington in this month's First Set. Best Practices: The Newton Athletic Club's Kate Golden describes ways to help personal trainers succeed. Giving Thanks: IHRSA clubs are prepared to help veterans suffering with PTSD, Shannon Vogler, IHRSA's communications and public relations coordinator, writes in this month's Grow, Promote, Protect. 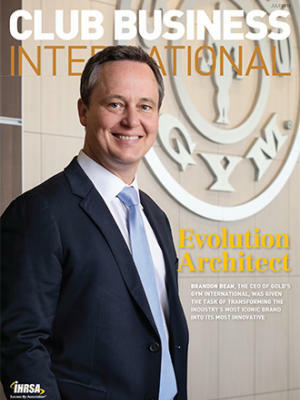 Value Proposition: SPORTSMITH: 100,000 OEM and aftermarket equipment parts and a vast and growing knowledge base keep this industry supplier at the head of the pack. 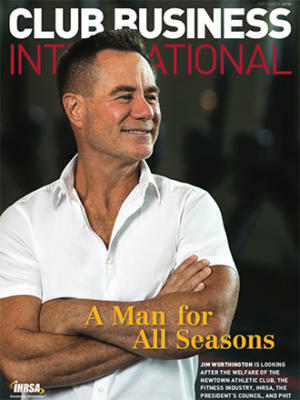 IHRSA in Brazil: Joe Moore, the president and CEO of IHRSA, calls this year's IHRSA/Fitness Brasil Latin American Conference & Trade Show "impressive."